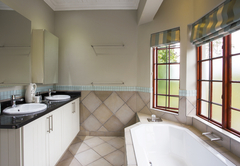 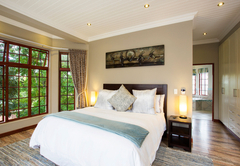 The Browns' Luxury Guest Suites is one of the Dullstroom guest houses and provides accommodation in 4 guest rooms for tourists visiting the Highlands Meander region. 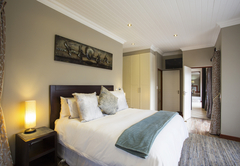 Located in Dullstroom, The Browns' Luxury Guest Suites is the perfect solution to your accommodation needs. 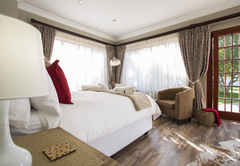 We have four exclusive suites with private entrances, which can be combined to accommodate groups as large as ten adults in supreme comfort. 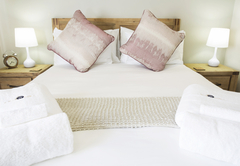 All our suites are beautifully decorated and elegantly furnished, with private access, underfloor heating, pure cotton percale linen and Charlotte Rhys amenities. 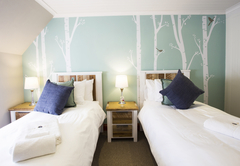 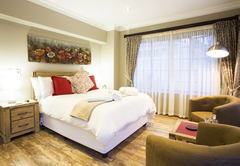 Additional room facilities include DStv, board games and beverage stations. 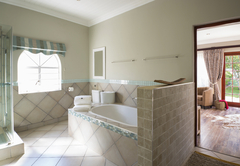 Most suites also have a separate lounge area and en-suite bathrooms. 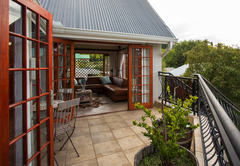 Wi-Fi is available throughout the property. 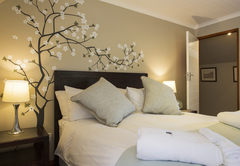 The Cove Suite is tastefully decorated and well appointed, consisting of a lounge and bedroom with a Queen-size bed. 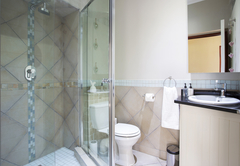 There is a shower only bathroom. 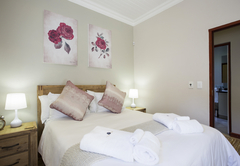 The Garden Suite is an en-suite unit with a Queen-size bed. 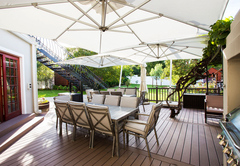 It has lovely garden views and a private entrance. 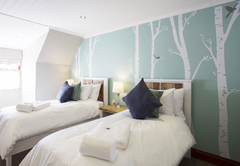 The Loft Suite is a large family unit, with a lounge, two bedrooms, off-suite bathroom and separate toilet. 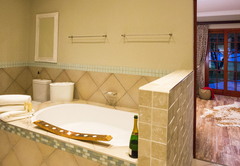 The Master Suite is a large private unit, with a dressing room, private lounge, en-suite bathroom and separate toilet. 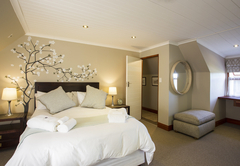 The Cove Suite is tastefully decorated and well appointed, consisting of a lounge for two, and bedroom (queen bed) with a dedicated off-suite shower-only bathroom. 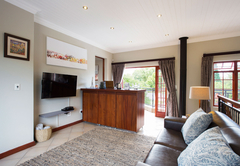 Underfloor heating, 48 inch LED TV, DSTV, DVD, Twinings teas and Nespresso coffees. 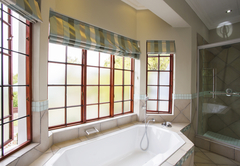 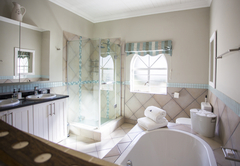 The Garden Suite is a luxuriously appointed en-suite unit with a queen bed, dual vanities, large bath and shower. 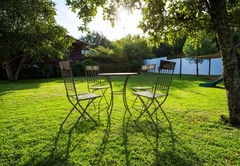 Lovely garden views and private entrance. 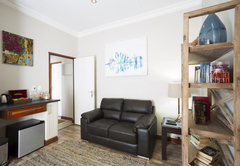 Underfloor heating, 32 inch LED TV, DSTV, DVD, Twinings teas and Nespresso coffees. 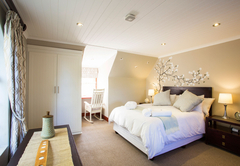 The Loft Suite is a large family unit, with a lounge, two bedrooms, off-suite bathroom and separate toilet. 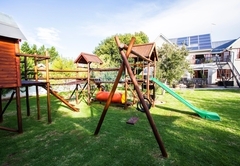 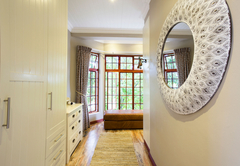 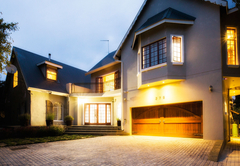 Tastefully decorated and luxuriously appointed with lovely views of the Groot Zuikerboschkop. 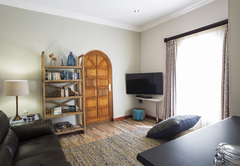 LED TV, DSTV, DVD, Twinings Teas and Nespresso. 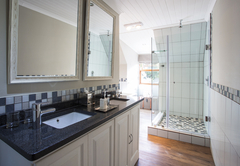 The Master Suite is a large private unit, with a dedicated dressing room, private lounge, en-suite bathroom and separate toilet. 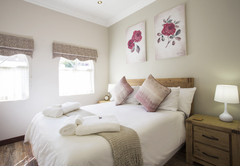 Luxuriously appointed with underfloor heating, 48 inch LED TV, DSTV, DVD, bar-fridge, Twinings teas and Nespresso coffees. 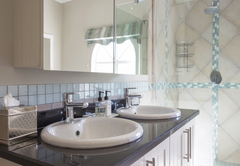 Response timeThe Browns' Luxury Guest Suites typically responds to requests in 5-10 minutes.